Tomorrow (June 12, 2009 in Kuala Lumpur, Malaysia) mer? will announce the winner of her Giveaway Game! There's a feeling of excitement in the air! 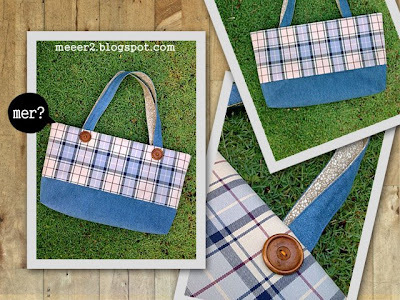 I wonder who will go home with a gorgeous bag (as shown in the photos above) -- the coveted prize of the game -- made by mer? herself. I am certain the winner will enjoy the bag because mer? 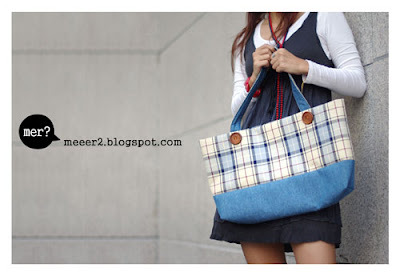 's bags have the capacity to make their owners feel special. That is how I feel when I use mer? 's creations. Do take a walk through mer?land. Thank you mer? for allowing me to use your photos.